Here's one I prepared earlier . . . 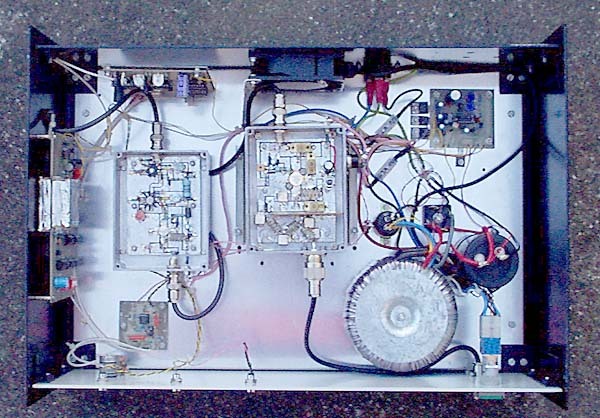 It's a 100W Stereo FM TX, with stereo encoder and PLL controlled VCO. It's mains powered. The cooling fan simultaneously blows air over the heatsink of the PA and the linear power supply. The power supply is based on the 723 IC and uses a pair of 2N3055 devices as the series pass elements.